Ending our use of oil, coal and natural gas by the end of the century? It seems an impossible task, but this week’s G7 Summit closed with the announcement that the leaders of 7 leading industrial nations had agreed to phase out the use of fossil fuels. As one of the G7, the UK is part of this long-term commitment to reduce greenhouse gas emissions. It is also legally-bound, via The Climate Change Act (2008), to cut carbon emissions by 80% by 2050. These national and international targets will only be met however if we all make practical changes to our patterns of energy consumption. Organisations like the Energy Saving Trust Foundation and NESTA have pointed out that providing new technologies is not enough to increase public engagement with alternative energy. Success is dependent on getting real people to use these technologies in everyday situations. Earlier this week I attended an event on the use of renewable energy in public transport. Not being a transport specialist, but interested from the point of view of community development and social exclusion, it was a useful introduction to some of the innovative work that is underway in Europe. Organised to present the results of the REPUTE (Renewable Energy in Public Transport Enterprise) project, the event explored the challenges of ensuring accessible public transport in rural areas. People in rural areas typically travel 50% further than people living in urban areas. Travel which is essential to daily life such as going to school or work, going shopping or getting to doctors and hospitals all requires longer journeys, mostly by car or bus. A lack of integration between different modes of transport also makes travel by car more convenient in rural areas. Pilot projects showcased at the event included personal travel planning in Fort William; solar-powered real-time bus information signs in the Highlands and Islands region; and electric vehicle rental in rural towns in Portugal. A new guide written by Oxford Brookes University was also launched at the event and includes lots of examples of community-based transport and energy schemes. I picked up on a few heartening signs of a shift in attitudes. 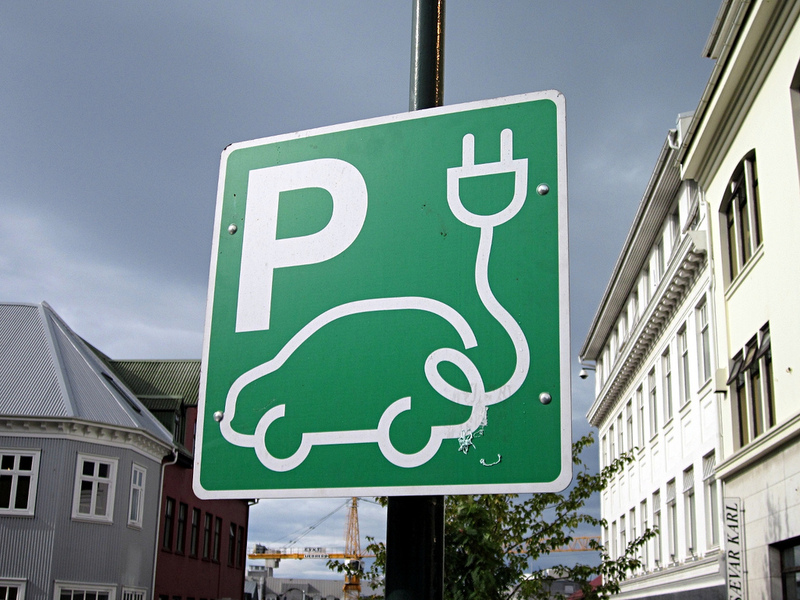 Many local authorities are publicly supporting alternative energy use in their fleets and providing charging points. A recent survey showed that Scottish councils in particular are leading the way in the UK in the adoption of electric vehicles, with Dundee placed in the number 1 spot and South Lanarkshire, Glasgow and Fife also in the top 5. Aberdeen now has the largest fleet of hydrogen fuel buses of any authority in Europe. 2 of Edinburgh’s bus routes have switched completely to low carbon hybrid vehicles. There are more electric vehicles in Scottish car clubs than the total in car clubs in the rest of the UK. Elsewhere in Europe, Oslo’s initiative to open up bus lanes to electric vehicles has become a victim of its own success with the announcement in May that the law is being changed. A fifth of new cars bought in Norway in the last 3 years have been electric. A key aspect of pilot schemes is to introduce the public to new energy solutions in a way that is engaging. For example, visitors to the Brecon Beacons National Park can hire electric cars to travel around the area, turning eco travel into a fun activity in itself. A new ‘poo bus’ which runs in Bristol and is fuelled by bio-waste, is a witty way to spark debate about alternative fuel sources. And in Oxford, the city is transforming into a Living Lab for integrated transport experimentation. The need for a transport system which is cleaner and less-energy dependent is clear – the transport sector is the fastest growing source of greenhouse gas emissions. However investing in innovative renewable energy technologies at a time of budget constraints, requires government and local authorities to show leadership and vision. More importantly, there won’t be a step change in behaviour and attitudes without imaginative approaches to community engagement. Locally-led projects such as those highlighted by REPUTE’s guide are a great way to do this. The Knowledge Exchange specialises in public and social policy. To gain an insight into the commentary it offers, please explore our publications page on the Knowledge Exchange website.